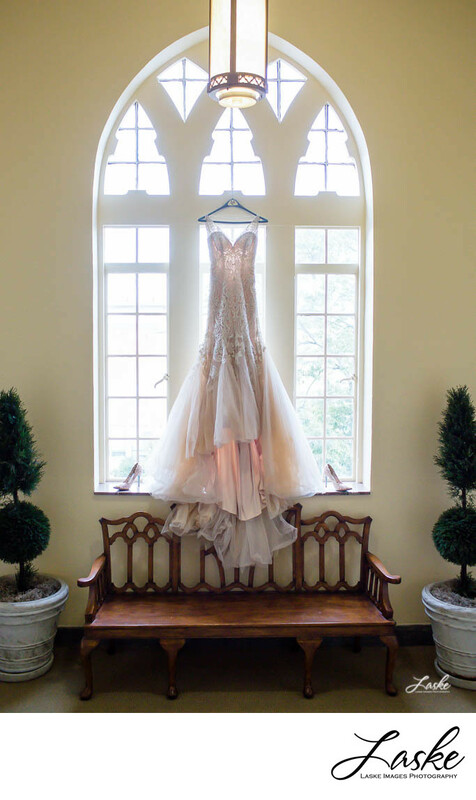 Pink wedding dress hangs in front of large windows above a long wooden bench. Two topiaries on each side. 1/80; f/3.2; ISO 400; 35.0 mm.